and on the small screen"
at Radford University, Radford, VA. The presentation is open to the public; admission is free. This presentation compares the percentage of white and minority women portrayed as police officers on prime time crime shows to data on women in policing in the United States. We find that over time, labor force data and crime show data both indicate increases in the number of minorities and women working in the criminal justice system. Overall, however, we find that both white and minority women fare worse in reality than they do in fiction. The presentation concludes with a discussion of the implications of the findings and directions for future research1. 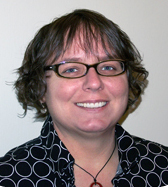 "Kim Davies, Associate Professor and Department Chair, regularly teachers "... Sociology Methods I and II, Women, Crime, and the Criminal Justice System, Violence and the South, Deviance, and GRU's Women's Studies Program". Her areas of specialty include ".. Women as Offenders, Violence Against Women, and Homicide". 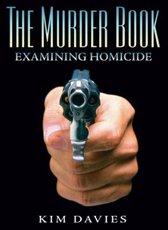 She is also the author of "The Murder Book: Examining Homicide "(Paperback). Other related publications include: “Seeking Help from the Police: Battered Women’s Decisions and Experiences” and “Beyond the Statistics: An Examination of Women Killers in Three Georgia Counties”1.